» Virginia Board of Pharmacy v.s. Virginia Citizens Consumer Council The First Amendment Rocks! In the case of the Virginia Board of Pharmacy v.s. Virginia Citizens Consumer Council , the appellees (consumers of prescription drugs in the state of Virginia) filed a suit against the Virginia Board of Pharmacy for violation of the First and Fourteenth Amendment of an already existing Virginia statute stating that advertising or promoting prescription drug pricing information is considered “unprofessional conduct” by any licensed pharmacist. This case was an appeal from the United States District Court for the Eastern District of Virginia. The Virginia statute prohibited any licensed pharmacist from advertising any and all prescription drug price information to anyone because it would be considered “unprofessional conduct” by that licensed pharmacist. According to the court document on FindLaw, “a three-judge District Court declared the statute void and enjoined appellants from enforcing it.” Though, the case was brought in front of the Supreme Court and was argued on November 11, 1975. In the case, the plaintiffs argued that any licensed pharmacist providing prescription drug prices to anyone was in violation of both the First and Fourteenth Amendments. The appellees then argued that the speech was not protected under the First Amendment because it was “commercialized speech.” But, BLACKMUN cited Breard v. Alexandria and said, “Since the decision in Breard, however, the Court has never denied protection on the ground that the speech in issue was ‘commercial speech. '” After determining that any pharmacist “advertising” price information only wanted to inform customers how much he or she would be charging them for a drug, BLACKMUN and the majority ruled that this “commercialized speech” is protected under the First Amendment. In closing, BLACKMUN and his concurring justices said that this “commercial speech” is protected under the First Amendment because it deals with the free flow of information that any consumer has the right to be interested in because it is a free market system. Also, the judges said the information being provided in no way is false, misleading or illegal and therefore cannot be prohibited. The legal issue in this case is whether or not a pharmacist giving out prescription drug prices to consumers is a violation of the First and Fourteenth Amendments. In making their decision, the members of the Supreme Court looked at these specific circumstances. Any First Amendment protection enjoyed by advertisers seeking to disseminate prescription drug price information is also enjoyed, and thus may be asserted, by appellees as recipients of such information. Pp. 756-757. “Commercial speech” is not wholly outside the protection of the First and Fourteenth Amendments, and the Virginia statute is therefore invalid. Pp. 761-773. (a.) That the advertiser’s interest in a commercial advertisement is purely economic does not disqualify him from protection under the First and Fourteenth Amendments. Both the individual consumer and society in general may have strong interests in the free flow of commercial information. Pp. 762-765. (b.) The ban on advertising prescription drug prices cannot be justified on the basis of the State’s interest in maintaining the professionalism of its licensed pharmacists; the State is free to require whatever professional standards it wishes of its pharmacists, and may subsidize them or protect them from competition in other ways, but it may not do so by keeping the public in ignorance of the lawful terms that competing pharmacists are offering. Pp. 766-770. (c.) Whatever may be the bounds of time, place, and manner restrictions on commercial speech, they are plainly exceeded by [425 U.S. 748, 749] the Virginia statute, which singles out speech of a particular content and seeks to prevent its dissemination completely. Pp. 770-771. 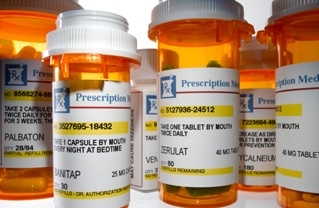 (d.) No claim is made that the prohibited prescription drug advertisements are false, misleading, or propose illegal transactions, and a State may not suppress the dissemination of concededly truthful information about entirely lawful activity, fearful of that information’s effect upon its disseminators and its recipients. Pp. 771-773. The Supreme Court ruled that the Virginia Board of Pharmacy (and all of its licensed pharmacists) are not prohibited from providing consumers with price information on prescription drugs. The big question here is whether or not a pharmacist providing price information on prescription drugs is considered “commercial speech” protected under the First Amendment. I work at a pharmacy and personally, I cannot understand why there would be a problem with a pharmacist telling a consumer how much a certain medication would cost. The pharmacist would not be giving out false, illegal or misleading information, he or she would simply just be providing a potential customer with some price information on a drug. The information is truthful and public to the customer and is therefore protected. And, taking HIPAA into account, no personal or private information is being given. What is the significance of this court case? Should states be allowed to regulate whether or not pharmacists can give out price information on prescription drugs? Why? Why not? Can this be related to prescription drug advertisements on radio and television? Some of those commercials tell consumers to contact certain retailers for prices. How about $4 prescription lists? Should any pharmacy like Wal-Mart, Walgreens or Rite-Aid be allowed to advertise cheaper, competitive prices on popular medications? Do you agree with the ruling of this case?